In a newly published systematic review, the proof of effect on infant colic was further strengthened for L. reuteri Protectis. The review evaluated 17 studies of different treatments for infant colic, wherein L. reuteri Protectis was the only probiotic. Only one other product was deemed effective. Simethicone, a drug often prescribed for colic, was shown to have no effect. 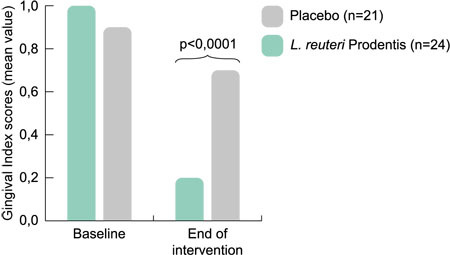 Prior to the new review, four meta-analyses evaluating different probiotics as well as non-probiotic treatments drew the same conclusion that L. reuteri Protectis is effective in colic, especially in breastfed and mixed fed infants. In the new, fifth review, including 6 studies on L. reuteri Protectis, the proof was further strengthened. 'The new meta-analysis once again confirms our position as the number one treatment for infants with colic. Today, healthcare professionals around the world can be totally reassured that they are suggesting an effective treatment when recommending BioGaia ProTectis drops to their patients,' says Peter Rothschild, President, BioGaia. The systematic review and meta-analysis was published online by researchers Tracey Harb and colleagues at the University of Queensland, Australia, in the Journal of Pediatric Gastroenterology and Nutrition.